All articles in RESISTOR Journal will be processed by the editor through the Online Journal System (OJS), and the author can monitor the entire process in the member area. Articles published in RESISTOR Journal, both in hardcopy and soft copy, are available as open access licensed under a Attribution-NonCommercial-ShareAlike 4.0 International (CC BY-NC-SA 4.0) for educational, research and library purposes, and beyond that purpose, the RESISTOR Journal editorial board is not responsible for copyright infringement. 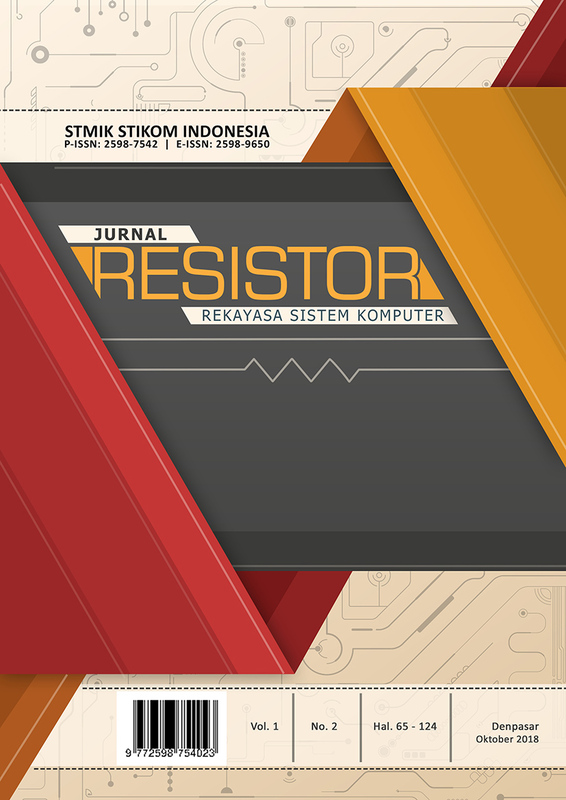 We invite you to collect articles / papers on RESISTOR Journal. The collection of articles in the RESISTOR Journal opens year-round and will be published twice a year in April and October. We do Double BLIND REVIEW to maintain quality publications.